Happy May 1st! I sort of lost half of April to other obligations instead of blogging. Like the quote says in the image at the beginning of the post, “Life doesn’t always go according to plan.” My PLAN was to participate in the Ultimate Blog Challenge for the month on this blog, and the A to Z Blog Challenge on my other blog – that just didn’t happen for the second half of April! SO…on this Monday, the first day of May, I’m making a fresh start rather than backtracking. I’m returning to my original format, which is to share words of encouragement and inspiration on a DAILY basis, as much as is humanly possible, if/when other obligations don’t call me away. Have you experienced those days when life doesn’t go according to YOUR plan? This was a great post. I totally understand getting pulled away by other obligations. 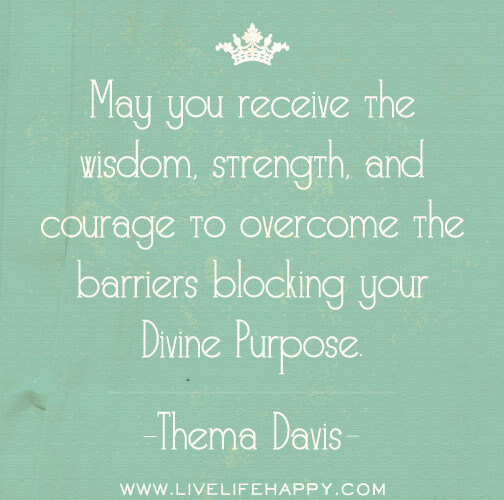 I really loved the quote by Thema Davis at the end of the post! The funny thing is I always think I have strategies in place to accommodate those times when I ‘haven’t time to blog’ but the reality is they fall short often! One thing I try to do is to have a couple of blog posts in reserve (in my drafts folder) so I can just add them without having to think about what to write. Sadly I often use them when I don’t always need to because I think they’re really good! So then I have no reserve again! Well done on your PhD. I did one many years ago and it was such a fulfilling experience. Wonderful news.I am so happy to hear that the finish line is drawing near. Congrats Karen on your accomplishments as well as not letting life get in our way! So very true! As we all know to well! Life Happens! But the important thing is that we get right back on the saddle as they say! We need to prioritize and sometimes this means our plans change. I’m glad to see you back in your routine and many congratulations on the big milestone in your studies. So happy you’ve gathered enough data for your dissertation! I’m also a big fan for the power of ‘letting go’. Good post, thanks.